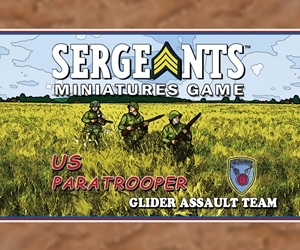 The US Glider Assault Team brings to bear tremendous automatic firepower, capable of keeping the enemy pinned down. 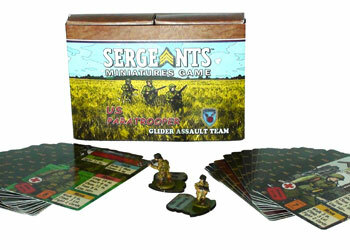 Featuring a BAR and Thompson armed soldiers, this team is a welcome addition to any assault. These soldiers come with their basic playing cards but also 8 new Specialist cards that may include Story, Command, React and all new Equipment cards.